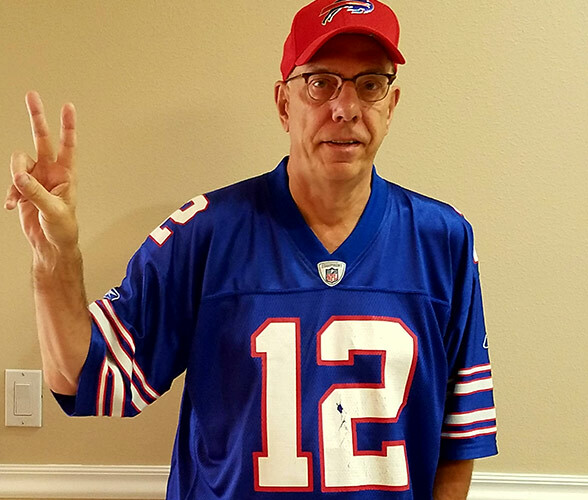 Glenn Shupe has prided himself on being a loyal Bills Season Ticket Member for over three decades. A Buffalo native, Shupe has created countless Bills memories. Although he was just a young boy, Shupe still fondly remembers attending his first Bills game with his uncle back in 1965. Over the years, Shupe’s Bills “fever” has continued to grow and he’s truly come to cherish watching his team take the field. From his favorite Bills player of all time QB Jim Kelly, to his current favorite players DT Kyle Williams and C Eric Wood, Shupe is the epitome of a diehard fan. Though it’s hard to pick just one, Shupe cites the 1991 AFC Championship game as his favorite moment as a Bills fan. Today, Shupe tailgates with his two sons on game days prior to kickoff at New Era Field. The entire Bills experience is special for him because it allows him to spend some quality time with his family and some friends that he’s made along the way. 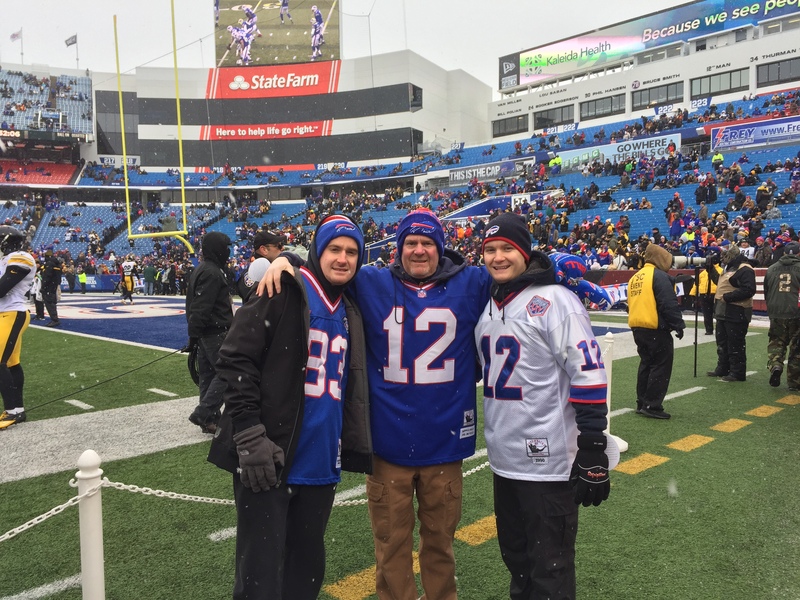 As a longtime Bills Season Ticket Member, Shupe has also come to enjoy the benefits associated with his membership. His favorites include the Bills Bucks Card and his personal Account Representative – who helps ensure that the seat upgrade process always runs smoothly. As a true football fan, Shupe also likes being able to see players from the Bills and other teams up close and finds his seats, on the 50-yard line behind the visitor’s bench exciting. The Buffalo Bills would like to thank Glenn for his many years of being a dedicated Bills Season Ticket Member and our Season Ticket Member of the Month for the month of June. In addition to Glenn being selected as a Season Ticket Member of the Month, he will receive two pregame on-field passes to a game during the 2017 season, a club seat upgrade, an autographed item and select 2017 Bills merchandise. 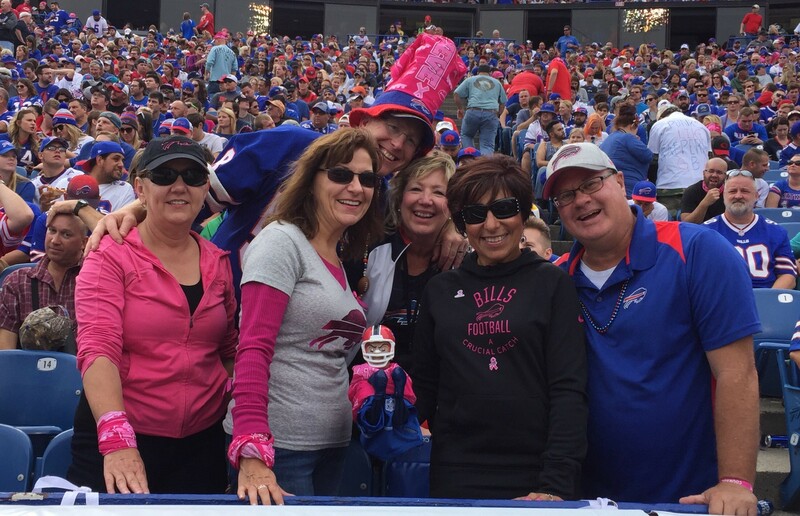 Debbie Dittly has been a loyal Bills Season Ticket Member since 1986. A Buffalo native, Dittly’s love for the Bills started at an early age. 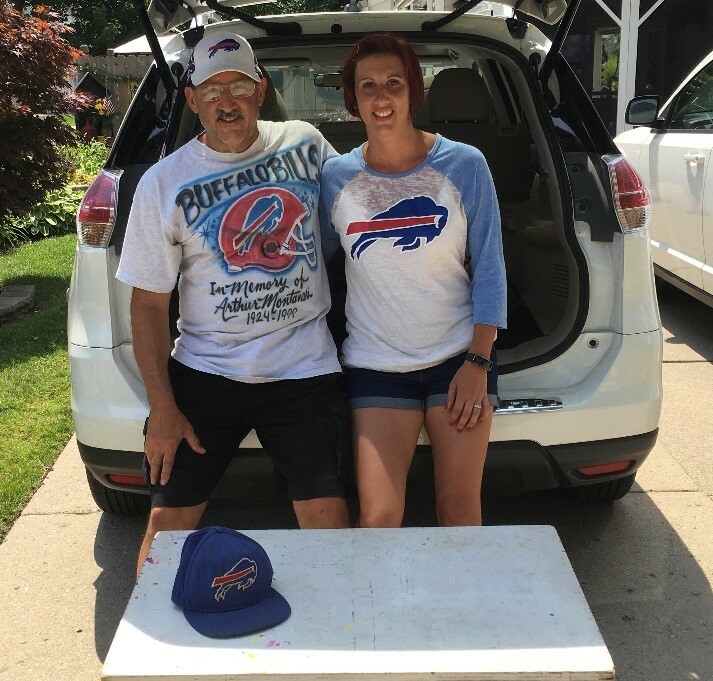 Reflecting on her favorite Bills memories, Dittly fondly recalls attending games at the old Rock Pile with her father who helped inspire her passion for the team. 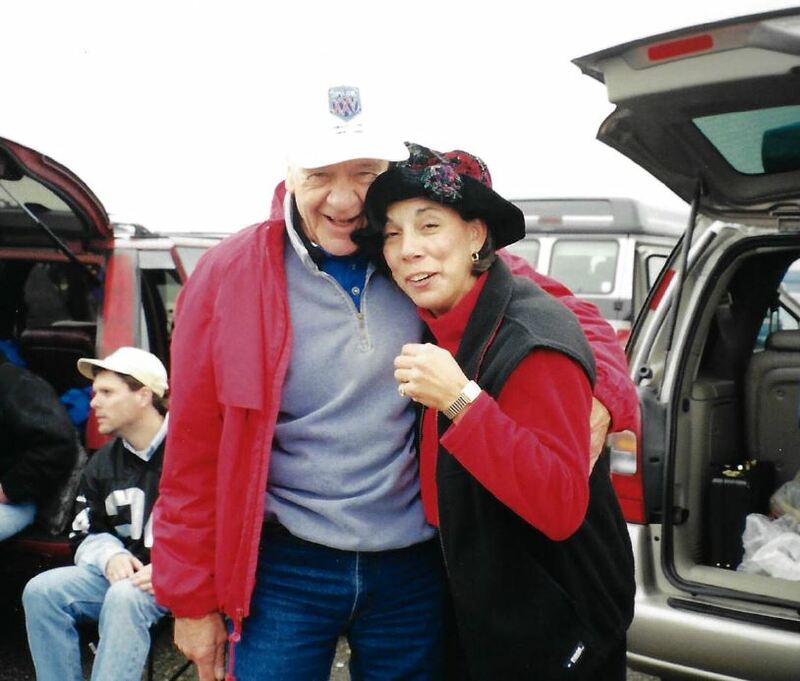 Over the years, Dittly has cherished the time she’s spent watching her beloved Bills take the field. Whether she is celebrating at New Era Field with her family and friends or traveling to support the team on the road, Dittly has taken pride in representing Buffalo. Even during some of her most trying times, Dittly has taken comfort in her connection to the Bills. One game in particular that has special meaning for Dittly is the 1993 AFC Championship game featuring the Bills and the Chiefs. 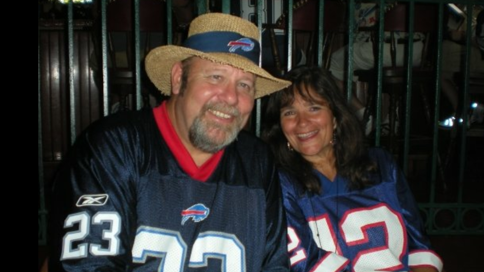 Today, Dittly can be found with her brother, husband and host of other friendly Bills fans, tailgating in the camper lot before each home game at New Era Field. In addition to the game day experience, Dittly has come to enjoy the perks associated with her membership. Her favorites are presale ticket offers and the Bills Bucks Card. 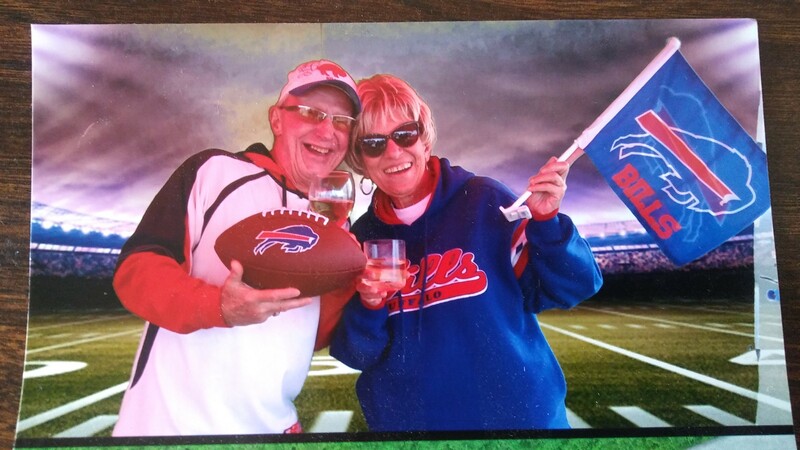 The Buffalo Bills would like to thank Debbie for her many years of being a dedicated Bills Season Ticket Member and our Season Ticket Member of the Month for the month of May. In addition to Debbie being selected as a Season Ticket Member of the Month, she will receive two pregame on-field passes to a game during the 2017 season, a club seat upgrade, an autographed football, and select 2017 Bills merchandise. Don Smith has been a passionate Bills fan and valued Season Ticket Member for over four decades. A Buffalo native, Smith has come to cherish the time he’s spent cheering on his team and the unforgettable memories he’s made along the way. Reflecting on some of his most prized moments, Smith fondly explained that witnessing the Bills pull off one of the greatest comeback wins in sports history tops his list. Over the years, Smith has enjoyed watching a variety of Bills players take the field. From his all-time favorite player quarterback Jim Kelly to his current favorite player QB Tyrod Taylor, Smith has proven himself a die-hard fan. 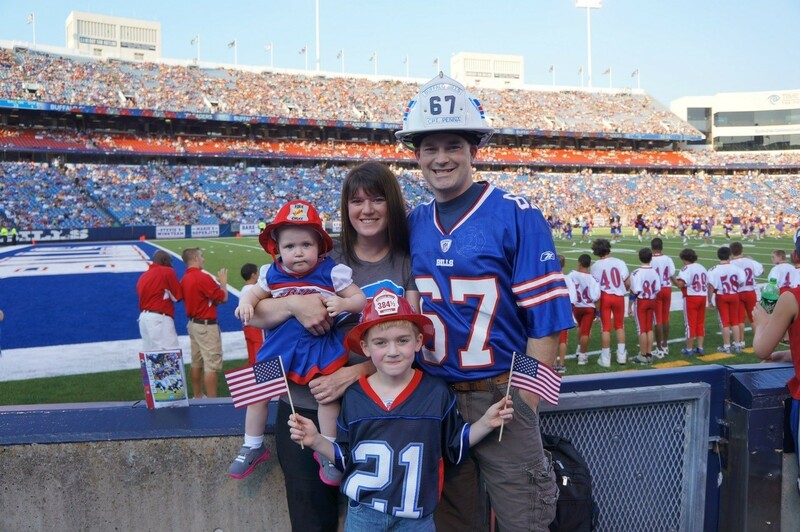 For Smith, game days at New Era Field represent the perfect opportunity to spend quality time with his son and wife. 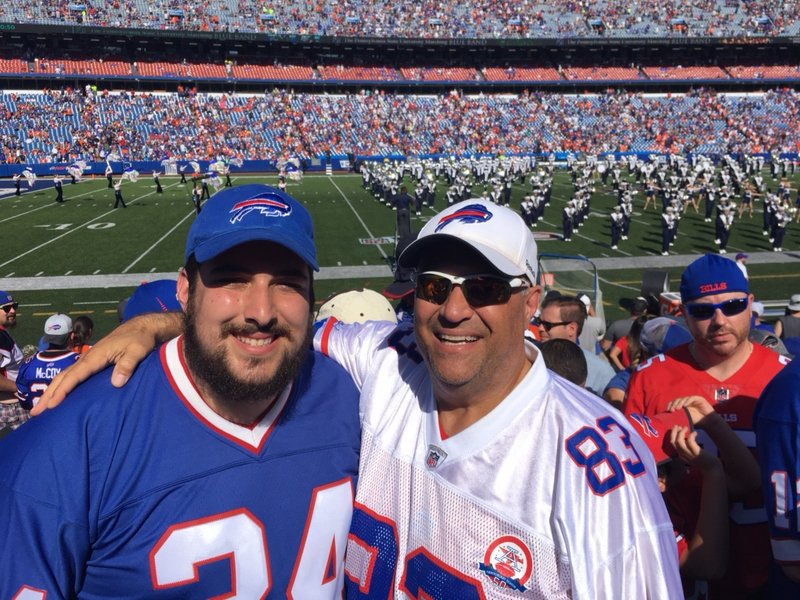 Like many other Bills Season Ticket Members, Smith appreciates the perks associated with his membership – especially the relationship he’s developed with his dedicated Account Service Representative, Ricky Ferrell. The Buffalo Bills would like to thank Don for his many years of being a loyal Bills Season Ticket Member and our Season Ticket Member of the Month for the month of March. In addition to Don being selected as a Season Ticket Member of the Month, he will receive two pregame on-field passes to a game during the 2017 season, a club seat upgrade, an autographed football, and select 2017 Bills merchandise. Patrick Mooney has been a loyal Buffalo Bills fan and Season Ticket Member for the last 46 years. 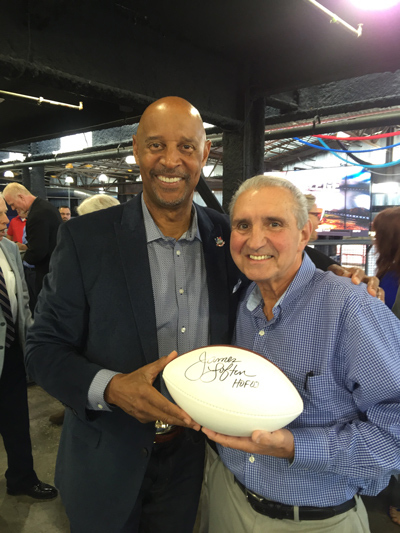 A resident of Le Roy, N.Y., Mooney attended his first Bills game with a close friend in 1969, after spending four years serving in the United States Marine Corps in Vietnam. From watching his All-Time favorite Bills players such as quarterbacks Jack Kemp, Jim Kelly and Doug Flutie to his current favorite Bills quarterback Tyrod Taylor and wide receiver Sammy Watkins, Mooney has made many lasting memories. “I’ve had a lot of fun going to the games over the years,” said Mooney. Although it’s difficult for Mooney to select a single favorite Bills memory, there is one game that is still very vivid in his mind—the 1990 AFC Divisional Playoff game. As a long-time Season Ticket Member, Mooney has come to cherish his time spent on Sundays at the stadium with his family. The Buffalo Bills would like to thank Patrick for his 46 years of being a loyal Bills Season Ticket Member and our first Season Ticket Member of the Month for the month of August. In addition to Patrick being selected as a Season Ticket Member of the Month, he received two pregame on field passes to the Bills versus Colts game on August 13th, a seat upgrade, an autographed football, and select 2016 Bills merchandise. Favorite Bills Memory: 1990-1991 AFC Divisional Playoff Game versus Miami, when the stadium was so loud that you could feel the upper level bouncing up and down. The fans were going crazy. 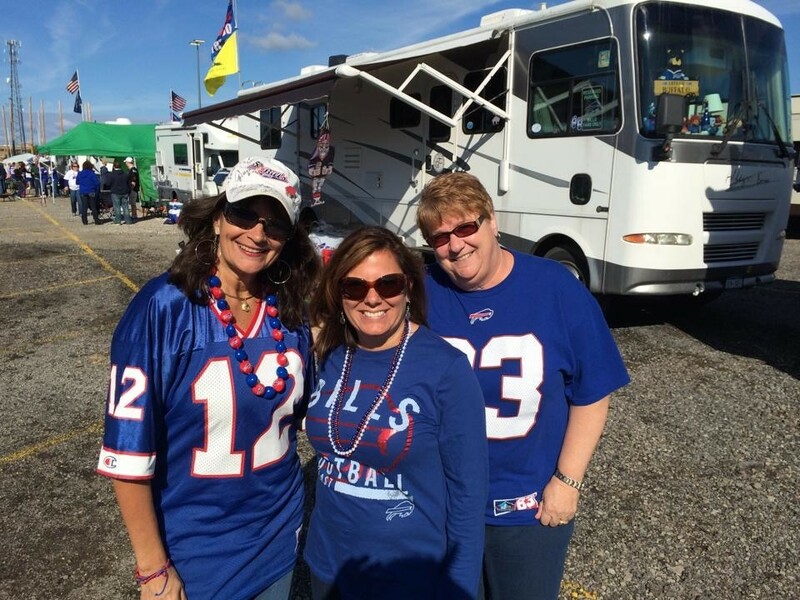 Favorite part of Sundays at Ralph Wilson Stadium: Tailgating atmosphere with friends and family. Best part of being a Bills Season Ticket Member: The opportunity to have the same great seats, sitting around the same people each week, and they become your good friends as the years progress. Favorite Bills Season Ticket Member Perk: The ability to be able to purchase the discounted parking. Favorite Tailgate Ritual: Trying to come up with a menu item to match up to the team we are playing that week. The Buffalo Bills would like to thank John for his 25+ years of being a loyal Bills Season Ticket Member and our 3rd Season Ticket Member of the Month. In addition to John being selected as Season Ticket Member of the Month, John will receive 2 pregame on field passes to a home game, an autographed football, and select 2016 Bills merchandise. If you would like to nominate a Season Ticket Member of the Month, email us the account number, name, and the reason for your nomination to Tickets@bills.nfl.net. Please use the subject line, “STM of the Month Nomination.” A new Season Ticket Member will be recognized and featured each month for the 2016 season. *Above photo is John with his daughter Lauren. Favorite Bills Memory: When the Bills beat Miami on the road in the 1989 season opener and Jim Kelly rushed for the game winning touchdown. Best part of being a Bills Season Ticket Member: The opportunity to have the same great seat, sitting around the people you know each game to watch your favorite team. Favorite Bills Season Ticket Member Perk: Bills Bucks card to use at the stadium on merchandise. Favorite Tailgate Ritual: Eating good and drinking sensibly. The Buffalo Bills would like to thank James for his 30+ years of being a loyal Bills Season Ticket Member and our second Season Ticket Member of the Month. In addition to James being selected as Season Ticket Member of the Month, James will receive 2 pregame on field passes to a home game, an autographed football, and select 2016 Bills merchandise.